Anthony Burrell. Know him? No? Chances are that unless you have living under a rock and have not attended shows of your pop urban faves over the last few years. Anthony Burrell was the male dance captain on Destiny's Child's farewell tour and the male lead in Rihanna's unfaithful video. He also featured in season 7 of So you think you can dance, but let go due to a hamstring injury. 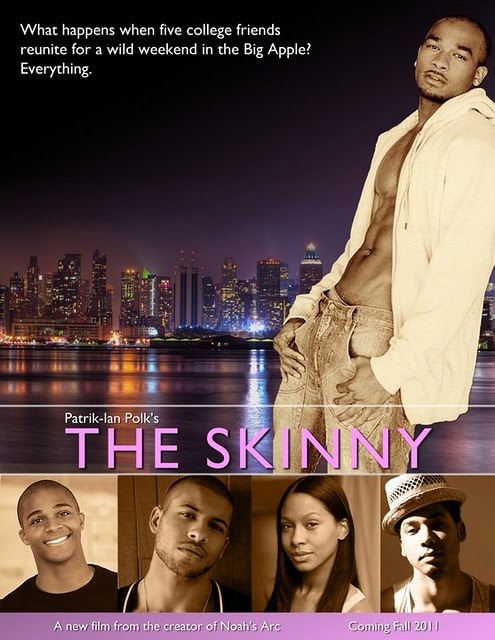 Congratulations is in order for Burrell as he signed on Patrik Ian Polk new movie The Skinny which is currently in production. Patrik Ian Polk is the genius behind LGBT cult classics Punks, Noah's Arc the series and Noah's Arc the movie. I'll hazard a guess and say that Anthony is playing Magnus! The trailer for the movie will be premiered at Outfest on 17th July. Am I right in saying this movie is eagerly anticipated?